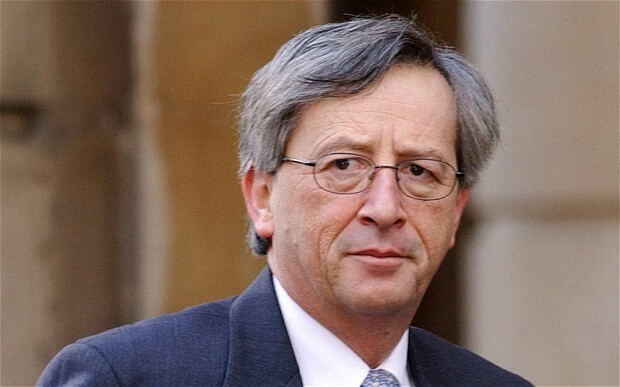 Arch-federalist Jean-Claude Juncker has succeeded José Barroso as the next President of the European Commission. British prime minister David Cameron was dead against his appointment, viewing it as a backwards step for the EU and putting the kibosh on any plans for renegotiation with Brussels. The European Commission is the body which is made up of unelected Commissioners who decide the laws of the 28 member states of the EU. The European Parliament is not a parliament, it is an assembly. The Parliament in Europe is not a legislature in the same way as the Houses of Parliament in Westminster are; it is instead just a talking shop and big fat rubber stamp for the Commission’s new laws. All those MEPs which we elect have the power of a flea. By definition, this is undemocratic and has more in common with authoritarian regimes like Syria or the former Austro-Hungarian empire, for instance. Britain should have no truck with this charade any longer. We don’t need the EU – most of our trade is with nations outside of the EU in the rest of the world. The big players of Europe – France and Germany – will still want to sell their wine and cars to us. But it’s not as if there was a moderate candidate waiting in the wings. Juncker is just one of many arch-federalists in the backrooms of Brussels developing an EU empire stretching from the Russian border (hint – Ukraine) to the Atlantic ocean. One only needs to look at a history book to work out how empires in Europe ended before: very very badly with millions of lives lost. Now, people aren’t going to die in such numbers as a result of the direction the EU is taking (although you might disagree in Athens or Kiev) but unrest will continue as more power is taken from poor southern Eurozone countries and placed in the hands of the Germans and French. Britain is a very wealthy country with an astonishing (albeit not equal) turnaround in economic fortunes taking place compared to 2010 and to other European states such as France. The EU is merely a hindrance to Britain’s growth in the world and it is time we left to decide our own destiny. Categories: Politics | Tags: Brexit, Britain, David Cameron, EU, Herman Van Rompuy, Jean-Claude Juncker, José Barroso, The European Commission | Permalink. The words of German Chancellor Angela Merkel as she was introduced to D-Day veterans, rightly seated centre stage on Sword beach on the Normandy coast at this afternoon’s Commemorations. Mrs Merkel rarely speaks English in public – although she does speak good English – and although not officially speaking in public I am sure her words were very touching to those British, American and Canadian former soldiers who this very day and hour were on the same beach fighting to free occupied Europe from Nazi Germany. 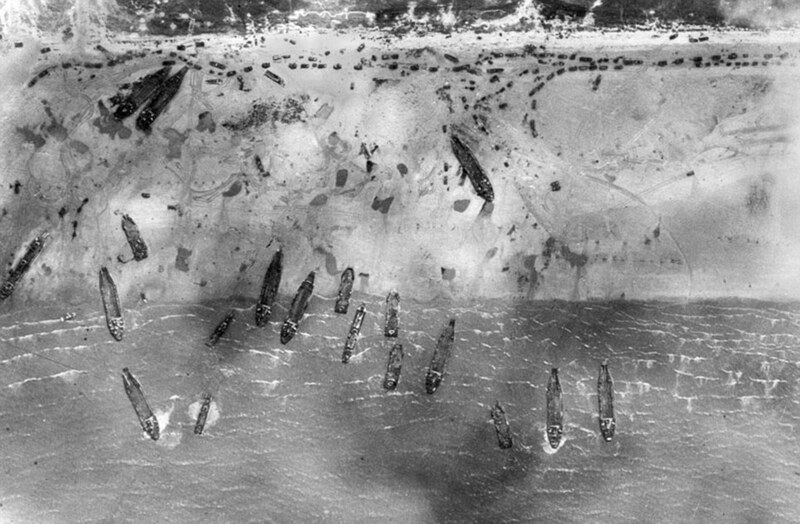 Seventy years ago – 6th June 1944 – 156,000 troops landed on five beaches and, although ultimately a successful mission, thousands of brave men were mowed down by German machine gun and snipers as they disembarked from amphibious carriers – the largest ever sea invasion – which began the end of the Second World War and the defeat of Hitler’s Third Reich. It is today we remember these very brave men who, in the words of John Maxwell Edmonds, gave their today for our tomorrow. 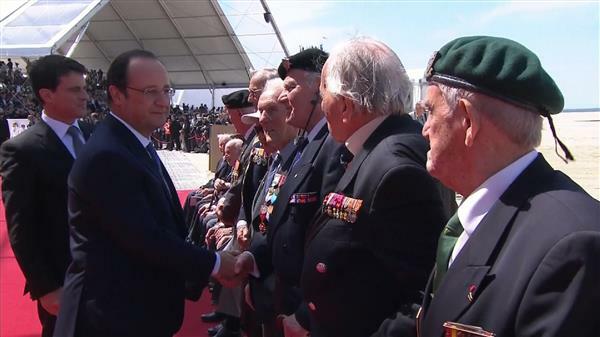 Categories: Politics | Tags: Britain, Canada, Chancellor Angela Merkel, D-Day, Normandy, President Hollande, Sword Beach, United States, World War Two | Permalink. Yesterday, Lord Lawson of Blaby, also known as Nigel Lawson, Mrs Thatcher’s most successful Chancellor of the Exchequer, stuck his head above the parapet and declared Britain should leave the European Union. I happen to firmly agree with Lord Lawson. We should be exiting the EU as soon as possible to take back control of our government and borders. But I also recall the then Nigel Lawson nodding his head beside Geoffrey Howe as the former Deputy Prime Minister knifed Margaret Thatcher in the back with his resignation speech from her Government in 1990. Why did Mr Howe resign? Oh yes, because of Margaret Thatcher’s views on the European Community (before the Maastricht Treaty made it the EU). Mrs Thatcher is winning the argument even in death. At least Nigel Farage has been consistent in his views. This makes his speech in a European Parliament committee meeting today very prophetic. The leader of Ukip predicts Britain will exit the EU within five to six years and the Euro in the Mediterranean EU states will end in violence and with the “southern nations hating the northern nations”. This was all predicted twenty years ago but is sadly what happens when politics is put before economics. But change is happening which will help the UK escape this monumental mess. Categories: Politics | Tags: Britain, EU, Eurozone, Geoffrey Howe, Nigel Farage, Nigel Lawson, UKIP, United Kingdom | Permalink.